You are here: Home / Baby / Guess What! I’m a little bit excited if you can’t tell. Because I’ve been wanting to tell y’all forever. I’ve been hiding my shameful pizza deliveries when y’all were Whole30ing in January and making my husband post on Instagram because the thought of a sweet potato with chicken stuffed inside made me want to hurl. Yep… I’m totally knocked up! Malik party of 4 coming August 2018. To say we are stoked would be the understatement of the year. 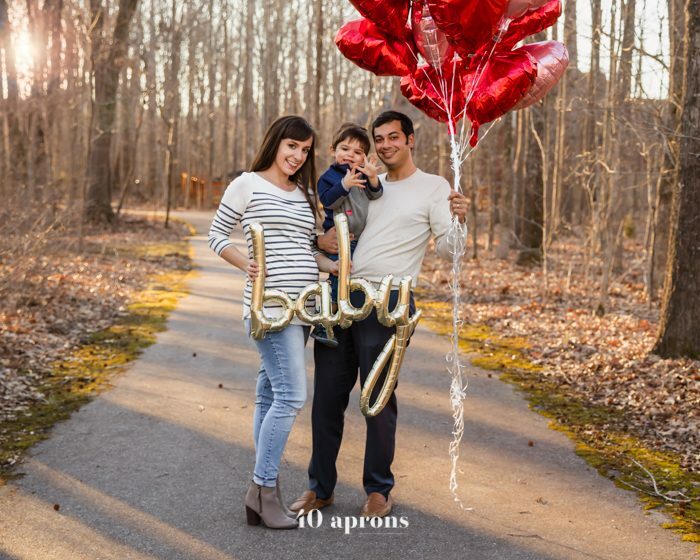 We just love being parents and having a little family, and we can’t wait to add another little one in a few months. Leo is excited but I’m gonna just say that I don’t think he quite gets it yet – he’s two, after all. Still, he tells everyone he’s going to be a big brother and likes to lift up my shirt when we’re in public to try and “see” the baby. So… that’s hella cute. Speaking of my poor husband, this man seriously did a Whole30 in January! There were nights when I made him Whole30 Indian butter chicken, for example, and, whilst photographing the recipe, texted a pizza emoji to Domino’s so I’d be covered. The irony being that, when I first found out, I told my food blog assistant (slash lifesaver slash enabler of all my cravings slash historian of all my bizarre pregnancy sayings and doings) that I was going to start a podcast called My Paleo Pregnancy to document my super healthy and paleo pregnancy. And then… morning sickness hit. The aversions hit. I’m only just now close to able to stomach anything from the produce section. I actually thought my first trimester would be better this go-round, considering we’ve been paleo for so long, supplementing with magnesium and vitamin C and fermented cod liver oil and all of that way in advance, but nothing could have prepared me for the 8-week hangover that hit me around week 5. So… YAY! I’m so happy I can tell you all now and share my pregnancy weirdness (and all the misshapen baby-in-belly bump photos I can never keep to myself) with you daily. I’ll also be reducing the frequency at which I post to two posts per week. That way I can keep up lots of squish snuggles in the summer! So tell me… is it really that hard going from 1 to 2? I mostly just live in blissful ignorance of the impending sleeplessness and intense man-to-man coverage on deck! 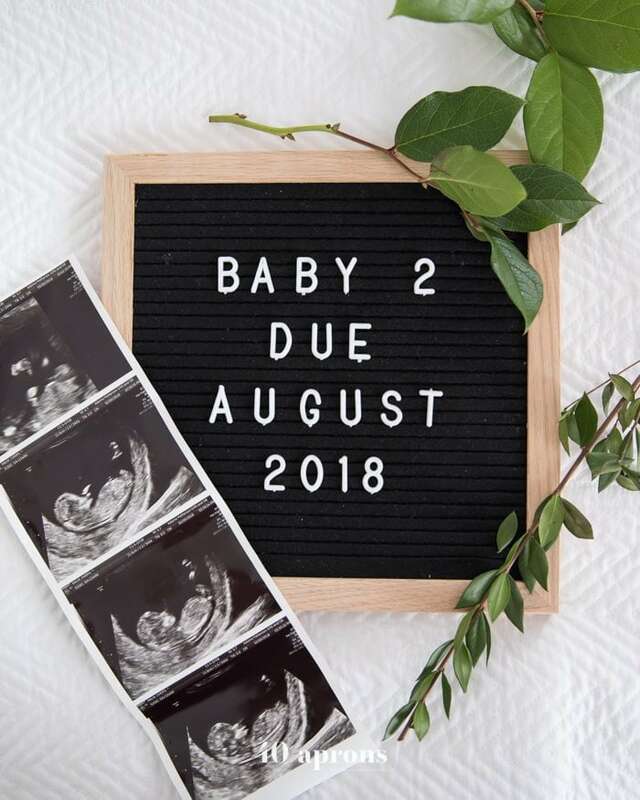 Congratulations to you and your growing family! Best wishes! Yay!!!! Every pregnancy is different, no matter how many you have!! Way beautiful Family!!!! Don’t worry about us holding you accountable for what you eat during pregnancy, just do whatever it takes to have a healthy pregnancy and baby!! Ha! That’s good… maybe I’ll start posting all my crazy fast food runs. 😂For weeks I seriously couldn’t stand the thought of anything remotely healthy. I didn’t really mind it, though. Even when I feel gross, I seriously love being pregnant! I have a Leo too, awesome name. I just discovered your blog and am loving it! Congratulations. I just had my second and it’s great. You’re used to being a bit stressed and sleep deprived anyways so it’s just an addition to the fun! The change for us was not as big as from zero children to one child. Also, I can totally relate to the eating poorly while pregnant. The McDonald’s lady was like, “see you soon!” and I was like “Ya, tomorrow at 11am when you start serving fries again”. I’m now 3 months postpartum and am loving eating healthily again, doing my first whole30! OMG that is hysterical! That was absolutely my life the first trimester. I’m finally rejoining the world of the living these days and cooking and eating healthy again. Phew. It was a close one there for a while! I agree with you… I’m already used to being frazzled and sleep deprived so why not do it again?! Going from zero to one was SO hard. I think I’ll be way more chill this time too. Hopefully! Congratulations! What a wonderful blessing. I don’t have any little ones yet, but if I have learned anything for other’s experiences is that you should be prepared for whatever your body throws at you. The perfect pregnancy is one that ends with a healthy, beautiful baby. Look forward to reading your future posts! Oh, and to answer your question, it was hard for me to go from one to 2 because my first was too good to be true, sleeping through the night at 2 weeks, a good sturdy boy that ate well, etc. The second was born on her own time (2 weeks early), never slept, hurled everything. We later found out she had cystic fibrosis. You should ace this! All the best! Oh no! Poor girly. My son was not a great sleeper… at about 4 months he woke up one night 20 times! I don’t think I fell asleep a single time that night. He was pretty typical otherwise, but the sleep….. oh the sleep. I’m hoping I get a great sleeper this time! Congratulations to you and your beautiful family! How exciting! Congratulations!! From a new follower and mom of 4, I can say for sure that going from 1 to 2 was scarier in my mind than it actually turned out to be. You each will have one to be responsible for, but it’s totally doable. Going from 2 to 3 was WAY harder. I bet Leo will be a great helper too. That’s about the age my oldest was when his sister was born. He loved to grab diapers or wipes or help with her pacifier.